The brainchild of Jonathan Ramaci, the iCache Digital Wallet (IDW) is a small, intelligent, portable device that consolidates all the cards in a consumer’s wallet into one single card. The IDW also incorporates contactless & EMV cards as well as barcoded cards, loyalty and gift cards, coupons, event tickets and airline boarding passes. Security is unmatched via iCache’s patented biometric technology. Consumers manage everything within the IDW via an interface similar to iTunes. 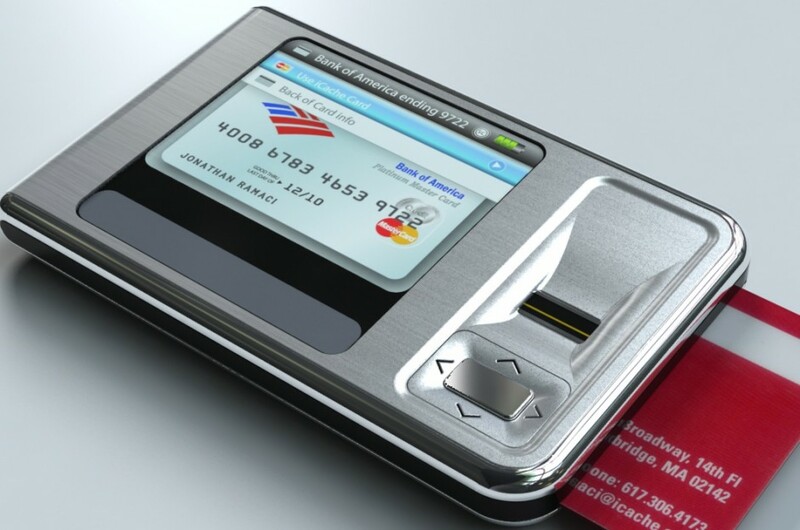 The iDW is universally accepted and can be used with all the existing Point-of-Sale terminals. Card issuing banks achieve a deeper relationship with their consumers, decreased fraud and increased spend.